We have already discussed about car care tips one needs to take before the rainy season of monsoon steps in, but what about the motorcycles? 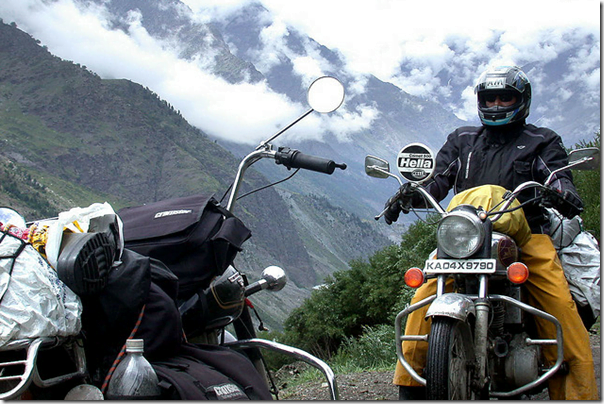 Do not worry as in this post we will be covering all about how to maintain your motorcycle when riding in monsoons. These tips will not only help you stay safe and ride safely to your destination under harsh rainy conditions, but also will tell you some useful tips to keep your bike / motorcycle protected from the damages which rainy season can cause. It is always advisable to take some precautions before you plan to ride your machine in rainy weather as there are several factors that will not only affect the performance of the bike but will also make riding unsafe. Some of the serious issues that surface in rainy weather include slippery roads, pot holes, stagnant water, corrosion etc. If you drive your bike too much in the rain and are concerned about its colour getting faded, get a Teflon coating before the beginning of monsoons. Another advise is to wear knee pads and a helmet and also a waterproof jacket. If you have a bike which has an uncovered drive chain, then you must oil it properly and wash it as a lot of mud will get deposited when you will ride it. When you stop your bike for a purpose or want to park it, make sure you park it under a shed and not under the shade of a tree. If the parking area near your house is not a covered one, do cover your bike with a proper sized cover so that the components does not get corroded. Once you reach your place after a dirty ride, do not forget to wash your motorcycle.